From the kitchen of One Perfect Bite...I have a treat that I suspect will really please any lemon lovers who pass this way tonight. I found the recipe for these tea cakes several weeks ago, but postponed testing it for lack of time. I finally got to the recipe this afternoon and I'm really delighted with the results. These petite cakes are really easy to make and they're packed with flavor that's sure to please anyone who favors tart desserts. I'm also taken with their appearance. I love their spare simplicity and I'm taken by the way they glisten when light hits their simple glaze. These would be perfect for a bridal or baby shower and they are a natural addition to a table set for an afternoon or high tea. While I've seen this recipe in several places, I was able to trace its origins back to the Better Homes and Gardens website. I don't think this is a new recipe. Their version of the recipe uses shortening rather than butter and that is more typical of mid-century recipes than those written today. For the record, I used unsalted butter to make the tea cakes, which, by the way, are simply inverted cupcakes. I had anticipated the recipe would make about 24 cupcakes. That didn't happen and I ended up with 16 nicely sized cakes instead. If you are a lemon lover, I know you'll enjoy these cakes. Here's the recipe. 1) Grease and lightly flour twenty to twenty-four 2-1/2-inch muffin cups. Preheat oven to 350 degrees F.
2) Combine flour, baking powder, and salt; set aside. 3) In a large mixing bowl beat butter in bowl of an electric mixer until smooth. Add sugar and beat until combined. Add eggs, one at a time, beating well after each addition. Alternately add flour mixture in three parts and milk in two, beating on low to medium speed after each addition just until combined. Stir in 1 tablespoon lemon peel. Spoon batter into prepared muffin cups. 4) Transfer to oven and bake for 20 to 25 minutes, or until a wooden toothpick inserted in centers comes out clean. Cool in pans on wire racks for 5 minutes. Remove from pans. Place cupcakes upside-down on wire racks set over waxed paper. 5) In a small mixing bowl, stir together the 2/3 cup sugar and lemon juice. Brush sugar mixture over warm cupcakes until all is absorbed. Cool completely. Cover and store in the refrigerator for up to 5 days or in an airtight container in the freezer for up to 2 months. Yield: 20 to 24 cakes. This cake sound so refreshing and good. Tea cakes are always such a treat. Your lemon version sounds superb. I love the citrusy flavour. Actually, I just made myself some citrusy tolls. Am still craving for yours too. Hope you're enjoying your day. Citrus flavor! Oh this lemon tea cake with lemony glaze. I LOVE it! I am so weak when it comes to citrus flavor... My mouth is watering and it's midnight! 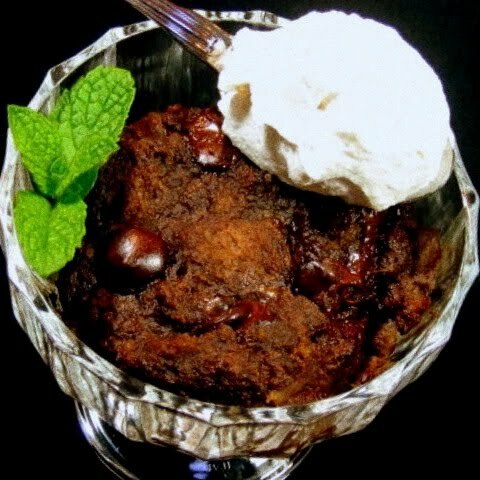 I wish I can take a bite this yummy treat...Thanks for posting this recipe Mary! What a wonderful lemon treat! Looks pretty too! I love light and moist cakes and anything lemon. Those mini-cakes look gorgeous. This lovely yellow colour evokes such feelings of freshness and joy! Have a great day Mary! Mary, these look lovely and may be my first baking adventure at Blue Row! Those tea cakes looks damn pretty.. I would love these! Have a great day! This looks so adorable and dainty! They look so refeshing!! Perfect for a warm spring or hot summer day! Looks very good, although I'm not a lemon cake kinda' guy. Cindy says this looks wonderful. These are for me, I'm a lemon lover! Oh my Mary, the recipe sounds delish!!!! I have such an affinity for tea cakes!! My love of lemon is legendary, at least in my own mind. There are so many delicious lemon recipes on One Perfect Bite Mary. This looks delicious! If i ever become right and famous i will need a personal chef because there is not way i could make something so cute! What a great recipe!They seem so refreshing and yummy!Thanks for sharing,dear Mary! Lovely - Lemon is my favorite baking fruit of all time :) thx for sharing ! What pretty and elegant tea cakes these are, Mary. They sound really lovely with their lemon flavor! So sweet and adorable! Turned over cupcakes? What a great idea! I'm a lemon lover and can't wait to try this out. I'm thinking a ladies luncheon needs to be planned quickly! These looks so light and airy - perfect for a spring dessert. If these can compare to your lemon pound cake, then you've got a real winner Mary because it is absolutely delicious! I love lemon desserts and am happy to have something new to serve to my family. Your presentation is beautiful, Mary, perfect for any special occasion. I'm happy I found this blog, I couldn’t discover any info on this subject matter prior to. I also run a site and if you want to ever serious in a little bit of guest writing for me if possible feel free to let me know, I\'m always look for people to check out my site. Please stop by and leave a comment sometime! Lucious lemon tea cakes! I love summer and lemon is a big hot weather flavor for us. I can't wait to make these. How absolutely beautiful these tea cakes are! Oh what a perfect little cake! I love Lemon! We love lemon at our house - and we love tea. This sounds like a lovely addition to our tea menu! These cupcakes looks wonderful. And they are so prettily decorated! I love lemons, and this sounds delicious! Bookmarking this, thanks for sharing! They look and sound delicious. My family would love these. Thank you for visiting my blog! Your lemon cake sounds wonderful! I will have to make it! I don't know why I never thought to simply turn my cakes over and make cute tea cakes. Do you level them on top (which then becomes the bottom) to make sure they rest flat, or do these naturally come out that way? These are adorable and I'm sure they taste great. I love the decorative touch on top too. This is gorgeous! Absolutely gorgeous! So pretty and the perfect baked goods for spring. I'll have to try this recipe and add a bit of lavender as well! So beautiful and perfect for spring! This lemon lover can't wait to try these! You're right, they would be perfect for a shower or tea! Huge fan of lemon! These look amazing! Desserts are the best when they don't need more than a simple glaze. So dainty and delicious looking cakes... great with a cup of tea! Lemon Lovers unite!! What a perfect spring/summer recipe. Or anytime of year for that matter. Thanks so much for sharing this. Turning a cupcake upside down...that is brilliant! It looks so beautiful that way. Love it! I am definitely going to do that some time soon. I too am on a lemon kick lately. This sounds wonderful. I have a lemon addiction! Those look lovely and simple. Mmm! It looks highly flavored in lemon! Just perfect! What charming little cakes these are. I adore lemon desserts and agree these look perfect to serve for a shower! looks super delicious.i am never bored of ur baked goodies,simply awesome.. Since I adore, no LOVE lemon, I will be making these...Thanks Mary! Cute and yummy tea cakes with that lemon flavor.. These look delicious. I absolutely love lemon. Definitely a keeper. Those are seriously bright tea cakes! Yum! Thank goodness! I thought I had dreamed this recipe. I was on vacation and was sure you had posted this recipe which I "cataloged" to do for a shower. I came home yesterday. No "Blogger" then no lemon tea cake recipe. I'm either dreaming again, or, here it is. I hope the latter. I love this idea of inverting cupcakes. And the beautiful yellow color will cheer you while you await the sun. The lemon tea cakes look so pretty, perfect for spring. Thank goodness this has returned as I wrote down the link in my website! Inverting the "cupcakes" make them special little delicacies. another lemon recipe! they look so pretty and i think i'm gonna luv them! I'm on a lemon kick myself lately and these look so good! I love love lemon in desserts. These look so incredibly pretty and heavenly! I am a lemon lover and know I would love these. They are so pretty! 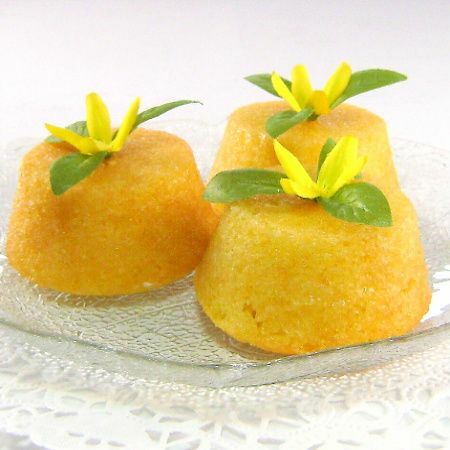 Wow, these Lemon Tea Cakes really look delicious and very moist. I also love how you displayed them on the plate. I have to try out this recipe. These teacakes immediately caught my eye. I love lemons in sweets. Lovely, Mary! I just served these at a Tea Party and they were wonderful! Thanks for your constant inspiration. I made the lemon tea cakes earlier. Everyone loves it. Thank you so much for the recipe. Will write a post about it and link it to your website. Love those petite lemon tea cakes. Have a blessed day! A very sophisticated take on a cupcake. I love it. I usually use a simple syrup with lemon juice to imbibe cakes, but I like the thought of the thicker sugar and lemon juice mixture saturating the warm cakes. 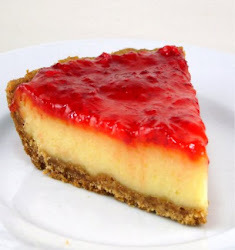 And, thank you for the lemon tart link love! Cake looks so cute and beautiful.